The Effortless Art of Sprezzatura Styling. There’s a movement taking place on Instagram. We say movement, but really we’re talking about its popular tags; amongst the heavy hitters of #mensstyle #ootd #gqstyle and so on, is a subculture of fashion originating in Italy; Sprezzatura. 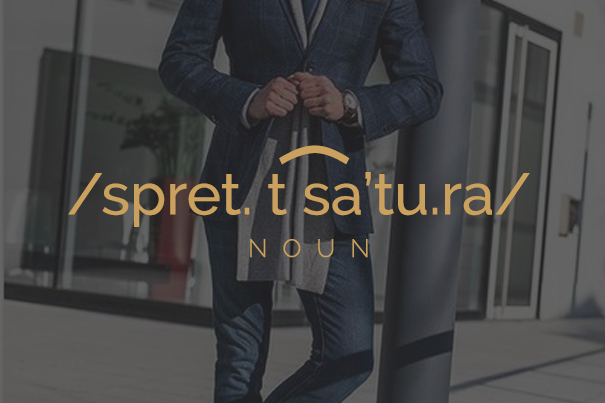 Sprezzatura is one of those words like ‘schadenfreude’, the German word for taking pleasure in someone else’s pain, and ‘hygge’, the Danish term for cozy contentment that has no direct translation in English. Put as simply as possible, it’s the art of dressing stylishly but seemingly with no effort. If you’re looking for a modern comparison, Beyoncé’s, “I woke up like this” pretty much covers it. Struggling to get your head round the notion? Think a jeans and jacket combo with your pocket square peeking over nonchalantly. A couture tie that doesn’t have its end tucked neatly behind buttons or a tie pin, but hangs free along with the ends of your just-thrown-on scarf. As we are all too aware of though, you can’t consider an outfit well styled unless you look all the way down to the feet. So what shoes could enhance your sprezzatura look? If you’ve gone casual with your trousers, and are sporting denim, we would suggest a timeless brogue, like the Barker Westfield Cedar Brogue or the Loake 1880 Burford Tan Brogue, which is a boot style – fantastic for tucking beneath your turn-ups. Of course, nothing says “I woke up like this” more than wearing your velvet monogrammed slippers to your social gathering. With the addition of our new Street Slipper, you’ll be able to swagger down the street in your favourite pair, with enough grip and sole to stand up to your environment. Another trademark of sprezzatura style seems to be the odd pop of colour, reminding voyeurs that this is a deliberate statement. The Barker Valiant Red Oxford would do just that job, but if you’re not feeling that brave, a daringly contrasting sock would suffice. Talking of social gatherings, those that follow the sprezzatura tag on Instagram do tend to value the art of dressing well, and the spiritual home of sprezzatura is Pitti Uomo, or Pitti Immagine as it’s also known. There, the dapper gents line the streets being snapped by the biggest style publications. GQ have done their own ‘GQ Stories’ feature on sprezzatura, and another article on ‘How to Wear your Tie Like an Italian’. If you’re in need of more inspiration, we’ve put together a sprezzatura Pinterest board, but we’d love to see your own too. Follow us and tag us in your boards and Instagram posts too so that we can see your efforts… but remember to make it look as effortless as possible.